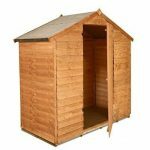 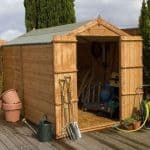 An excellent mid-size shed for garden enthusiasts for storing equipment, light furniture and garden toys. 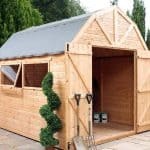 This handsome wooden shed has overlap cladding and wide double door space suitable for the user to move large pieces back and forward without issue. 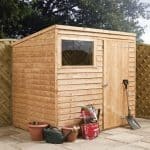 There are plenty of windows allow you to see outside and gives the shed a bright and airy feel, and the spacious interior is large enough to be used as an area to relax after a hard day gardening. 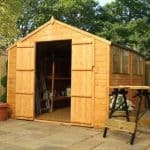 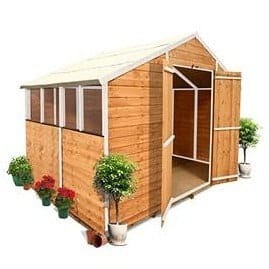 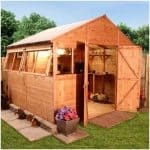 This is a very popular shed and ideal for most garden spaces.